Do you use Google tools in your classroom? Are you in charge of administering your Google Apps domain and supporting users? The Google Certification Academy is designed to help you become a certified Google Educator by providing advanced training as well as supporting you during the certification process. Learn practical tips for working with students, training teachers, and using Google Apps for Education in your school. 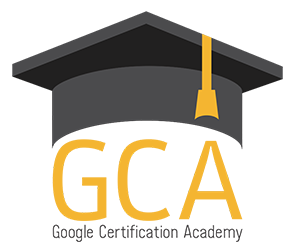 The Google Certification Academy is an intermediate/advanced learning opportunity. Participants should be current Google Apps users comfortable with Gmail, Google Calendar, Drive, and Sites. Experience with Chromebooks is helpful, but not required. Teachers, technology integration specialists, technology directors, and administrators can all benefit from the training provided at the GCA. The academy will focus on advanced tips and tricks for the classroom and for training and supporting Google Apps Users. It is recommended that participants take the Google Web Academy “Online Basics Exam” (free) prior to the academy. Visit www.gEducator.com to learn more about the session topics, instructors, upcoming events, and more!